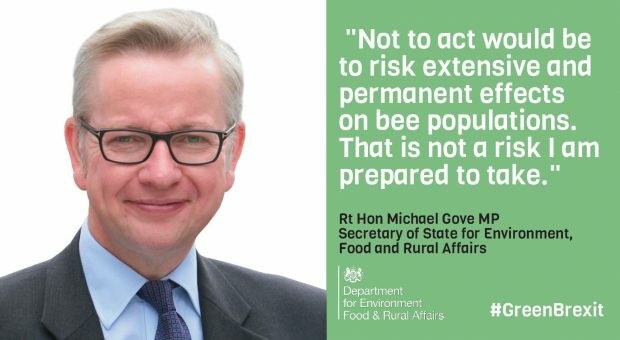 Tougher restrictions on neonicotinoid pesticides are justified by the growing weight of scientific evidence they are harmful to bees and other pollinators, Environment Secretary Michael Gove said today. The announcement has been well received by environmental groups including Buglife, Friends of the Earth and Butterfly Conservation Trust. 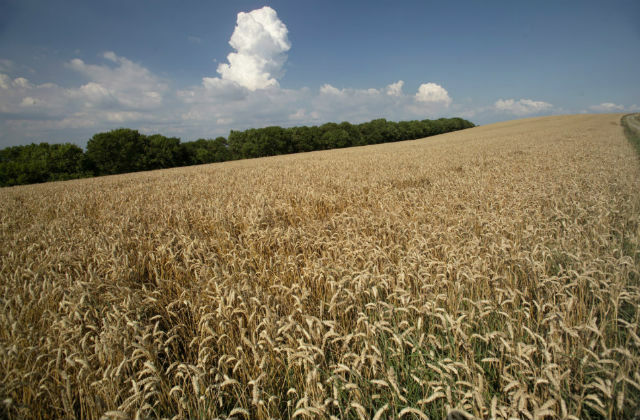 As reported in the Guardian and on BBC Radio 4 Today and BBC Breakfast, the Secretary of State said the UK supports further restrictions on the use of these pesticides. Unless the scientific evidence changes, the government will maintain these increased restrictions post-Brexit. I have set out our vision for a Green Brexit in which environmental standards are not only maintained but enhanced. I’ve always been clear I will be led by the science on this matter. The weight of evidence now shows the risks neonicotinoids pose to our environment, particularly to the bees and other pollinators which play such a key part in our £100bn food industry, is greater than previously understood. I believe this justifies further restrictions on their use. We cannot afford to put our pollinator populations at risk. I recognise the impact further restrictions will have on farmers and I am keen to work with them to explore alternative approaches both now and as we design a new agricultural policy outside the European Union. Today the Guardian looks at how the UK has seen a record high in numbers of bittern. The bittern, well known as ‘Britain’s loudest bird’ and found amongst wetland areas across the nation, was facing extinction in the UK in the late 1990s. The story highlights that the rise in numbers of the heron-like birds is partly due to the intensive conservation efforts that have been set up to protect the birds’ preferred habitat of dense, wet, reedbeds. Natural England has worked closely with the RSPB to improve and restore the bird’s natural habit through the Action for Birds in England programme, and also through its own species recovery programme. 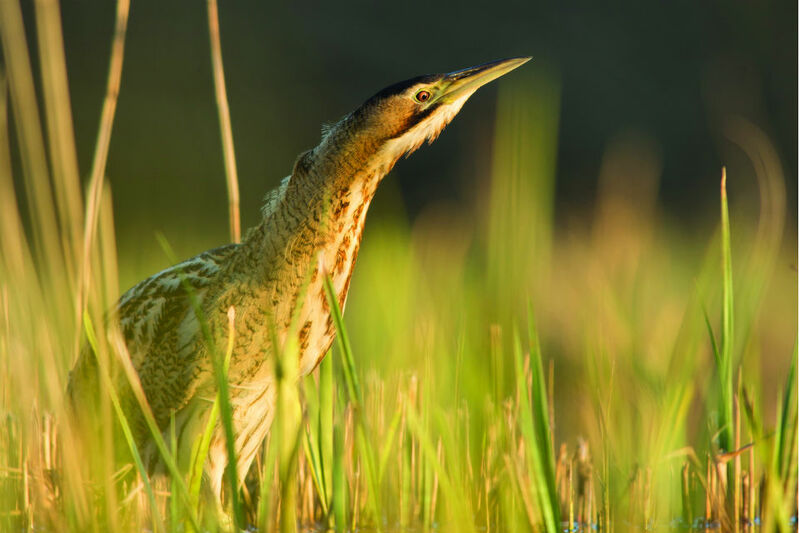 Natural England also worked to restore and create habitat on its own National Nature Reserves, and those managed by partners, to provide an opportunity for species such as bitterns to thrive in the UK. Rural Affairs Minister Lord Gardiner visited the Cotswolds yesterday to learn about the aspirations of farmers and local businesses over the coming years. The Cotswolds is the largest of England’s 34 Areas of Outstanding Natural Beauty (AONB) and home to many beautiful landscapes and thriving businesses. Hosted by Liz Eyre, chair of the Cotswolds AONB Conservation Board, Lord Gardiner visited Vegetable Matters, a newly opened farm shop in Ebrington, and the eighteenth-century Broadway Tower on the Cotswold Way National Trail. 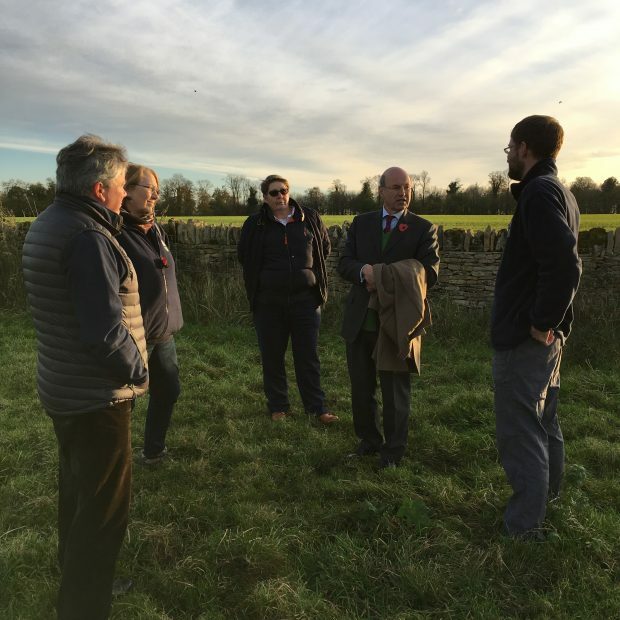 The minister then headed to meet Nick Bumford, manager at Guiting Manor Farms, to discuss the future of funding for agriculture and rural development, and Sherborne to see first-hand the contribution of local volunteers in the construction of dry stone walls. The minister ended his visit at Burford School, discussing how to develop the skills of younger generations. Lord Gardiner is in Shropshire today to learn more about the plant nursery sector and plant health. Today the Standing Committee on Plants, Animals, Food and Feed voted on a European Commission proposal on the 5 year approval of glyphosate. This follows discussions on 25 October which failed to result in a vote. Today, once again, no decision was reached. As the Environment Secretary has set out today in the Guardian, two principles guide this government’s approach to the natural world. First, we want not just to protect but to enhance the environment; and second, we want our decisions to be informed at all times by rigorous scientific evidence. On neonicotinoids there is a growing weight of scientific evidence that they are harmful to bees and other pollinators, and that’s why today we’ve announced we support further restrictions. But the scientific picture on glyphosate is very different. UK and EU scientists have clearly advised that it does not pose a risk to human health or the environment and that’s why the UK government supports its continuing approval. We are very disappointed that yet again no decision has been reached leaving our farmers still waiting for certainty. The European Commission can now take their proposal to the Appeal Committee which could enable them to adopt the decision.